When we made this cross there was not many parents that were large orange flowers so we used Wylaong. These are ventral sepal pelorics. 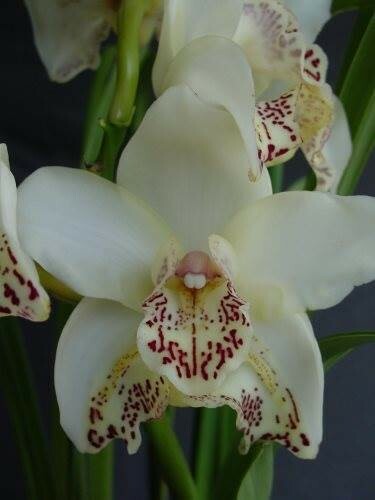 'Crazy Bee' is a cream colour standard with the labellum markings on the sepals. Late flowering.